The HomePod might not be selling as well as expected, but Apple Music definitely isn’t struggling. According to a report in Variety, the music streaming service has now passed 40 million subscribers. 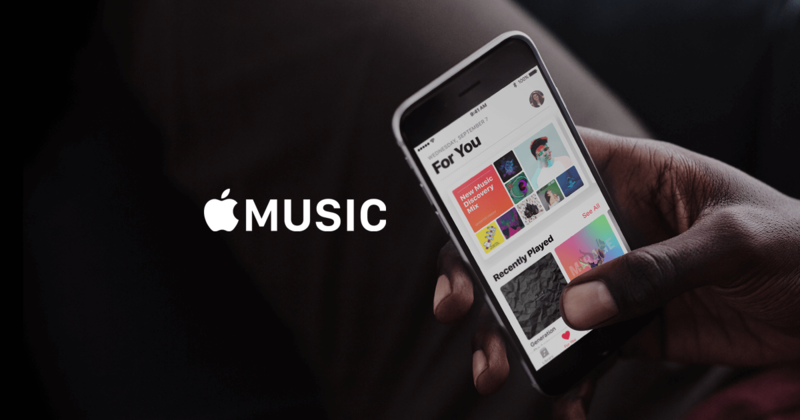 In addition to reaching the milestone, Apple has announced the promotion of Oliver Schusser to vice president of Apple Music and International Content. He’ll report to Apple senior vice president of Internet Software and Services Eddy Cue, who first hired Schusser 14 years ago. Schusser will relocate from his London offices to California, splitting his time between Cupertino’s Apple Park and the company’s offices in Culver City. He has been involved in the international launches of the App Store, iTunes Store, and iBooks. Schusser also played a key role in the acquisition of Shazam, which has yet to receive European regulatory approval, notes Variety. Tracey Hannelly will take on Schusser's old position of leading Apple Music International. Additionally, the appointments will have no impact on the current standing of Jimmy Iovine, says an insider. The Interscope Records and Beats co-founder, who helped the company launch Apple Music after the acquisition of Beats in 2014, already said he would be reducing his role at Apple starting this August. While Apple’s main music streaming rival, Spotify, still has over 70 million paid-for subscribers, a Wall Street Journal report from February claimed Apple’s service was growing faster in the US— 5 percent per month versus Spotify's 2 percent. Assuming these figures are accurate and stay the same, Apple will overtake its Swedish competitor in the largest market for music streaming this summer.